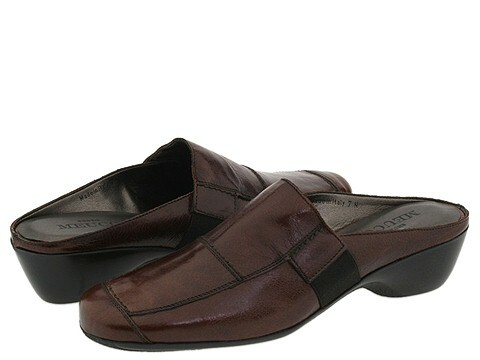 The 'Revel' mule from Sesto Meucci offers versatile European styling while emphasizing comfort. Richly textured pieced leather uppers for visual appeal. Stretch goring at the instep sides provide flex for comfort. The open back design makes entry and exit a breeze. Amply padded insole and leather lining produces a glove-like feel and minimizes fatigue. Lightweight yet durable outsole absorbs shock and ensures traction. Made in Italy.